Senator Jim Stamas, R-Midland, fought for Michigan taxpayers. 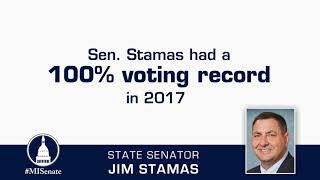 Senator Jim Stamas, R-Midland, continues to be hard at work for the 36th Senate District. 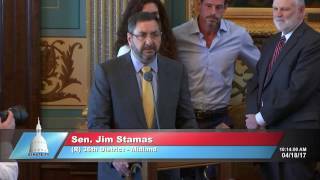 Senator Jim Stamas, R-Midland, delivered a tribute to Rose Marie McQuaid for her many years of service to Midland County during the Sept. 13, 2017 session. 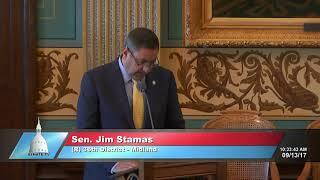 Senator Jim Stamas, R-Midland, spoke in the Michigan Senate regarding the life of former Senator John Pridnia. 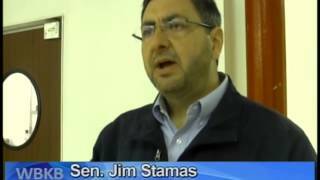 Senator Jim Stamas, R-Midland, toured Alpena businesses on April 4, 2017.